By day, Butters is a Youth worker, working with children from various schools and teaching them life skills (think confidence, personal development, social skills, etc.). So Butters reckons you all should come for the atmosphere and watch the performers playing around the proverbial ‘campfire’. No lined up venues to catch this musician in action, but he will be performing all round Melbourne several nights a week. Let’s play a game; it’s called – find Pumazoo! 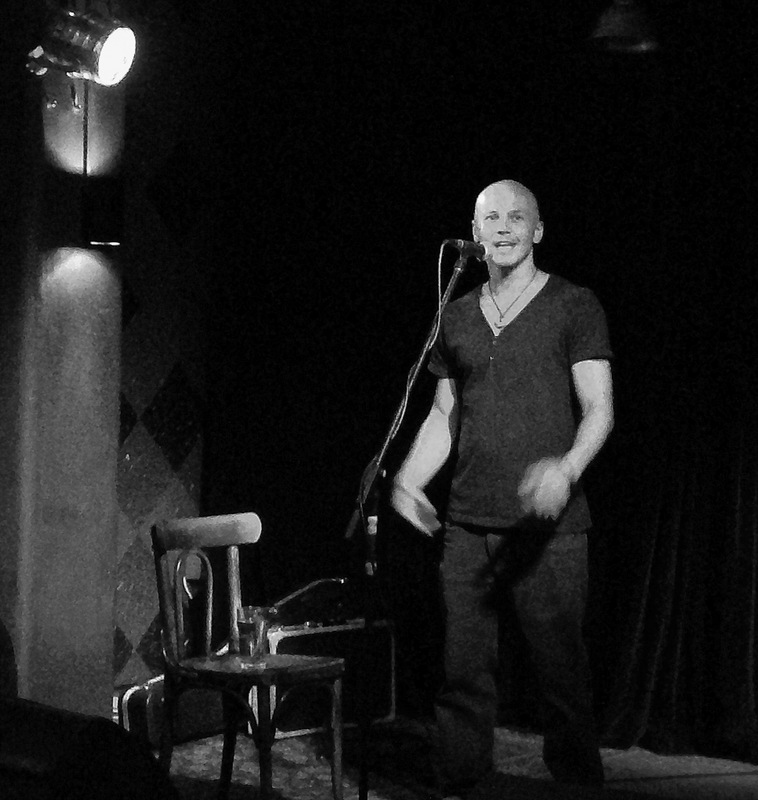 With a couple effects pedals at his feet, Max’s instrumental originals were ambient, melodic and dynamic. 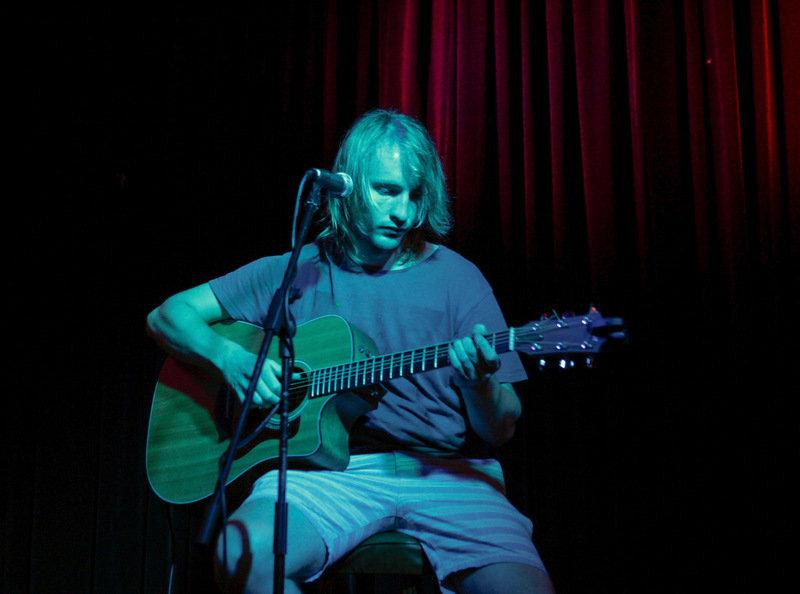 Complemented by a Red Hot Chili Peppers cover, Max was up first on this evening of Acoustic music at the Acoustic Cafe. With influences from John Butler, Smashing Pumpkins, Radiohead and other 90s music, Max has been playing guitar and singing for 6 years; self-taught. 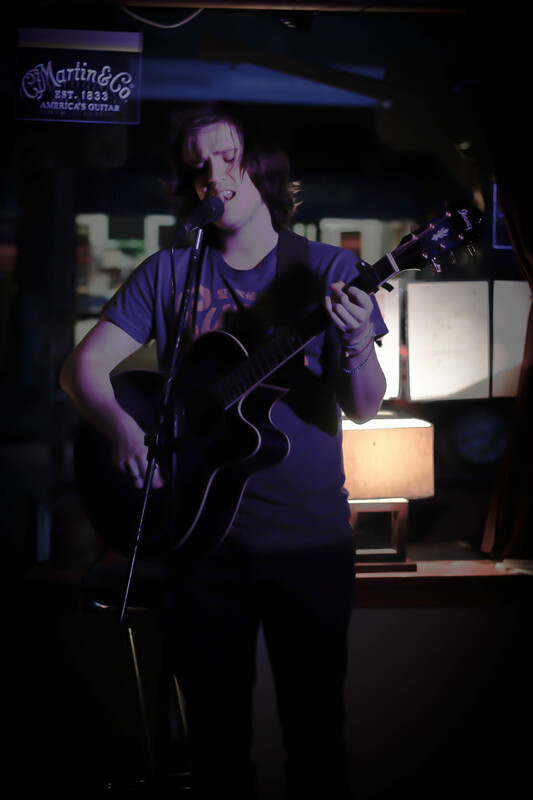 You can check out Max’s music live at the Acoustic Cafe on Thursday nights 8pm. 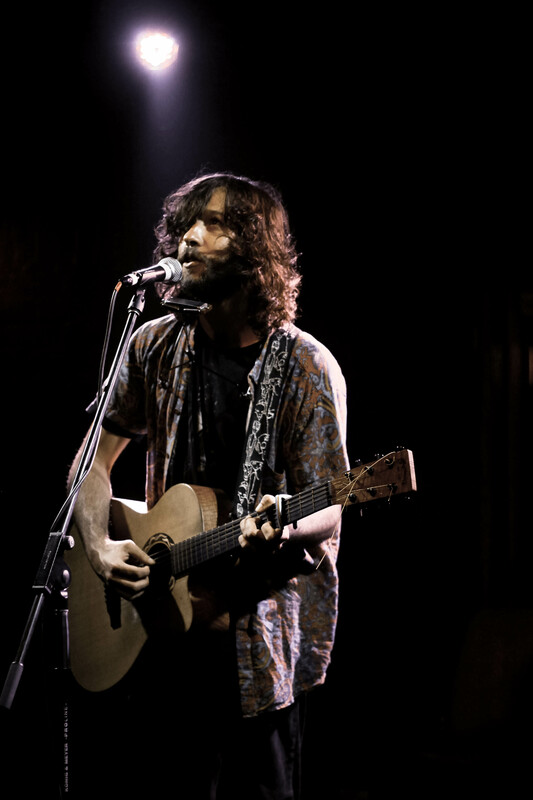 With a crisp and clear voice accompanied by melancholy finger picking Acoustic tunes, people gave Jesse their undivided attention for his set. A down-to-earth and very humble musician, Jesse works in Cancer Immunology by day at the Peter MacCallum Cancer Centre, and keeps sporty and fit as much as possible. Aiming to pursue a full time music career, Jesse has lived the rock n roll lifestyle playing in a band though at the moment he is currently playing solo and trying to record some new material. 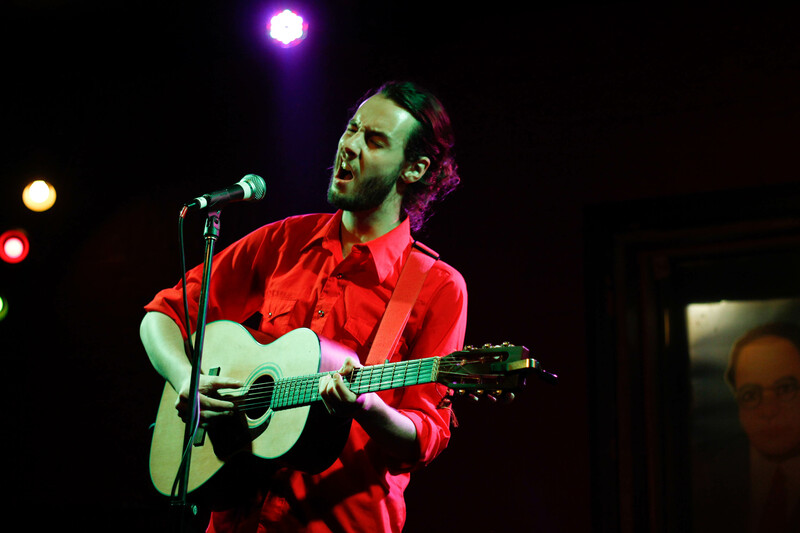 Jesse will be rocking the Cornish Arms on Monday nights and The Brunswick Hotel on Wednesday nights. I was struck by how these two musicians worked so well together. The charismatic and engaging blues/folk singer & guitarist (Reuben) was complemented perfectly by a more subdued jazz saxophonist (Joe). 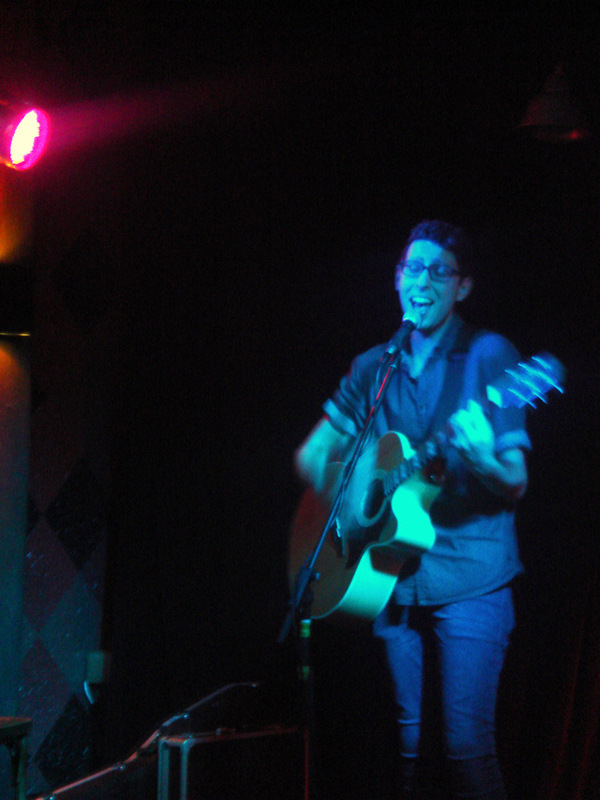 These two blokes, playing both originals and covers were such a hit that they were asked to stay on for an encore. 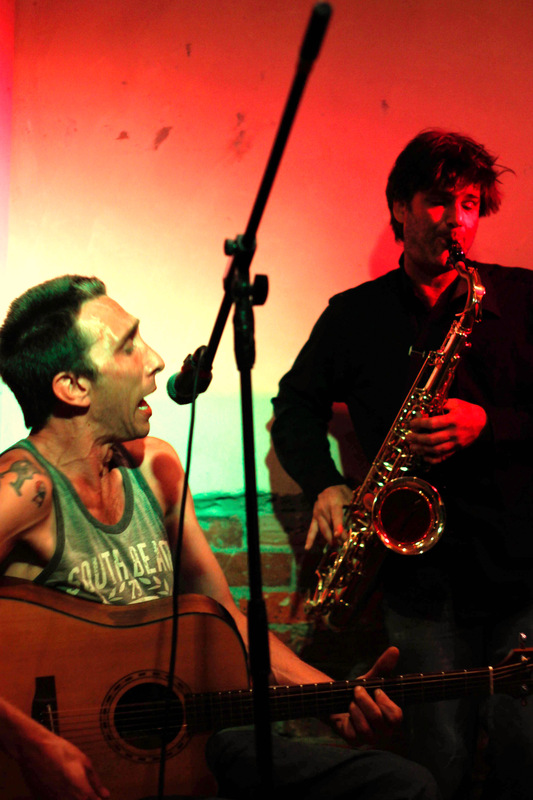 You can catch Reuben and Joe playing at Station 59 on Thursday nights. 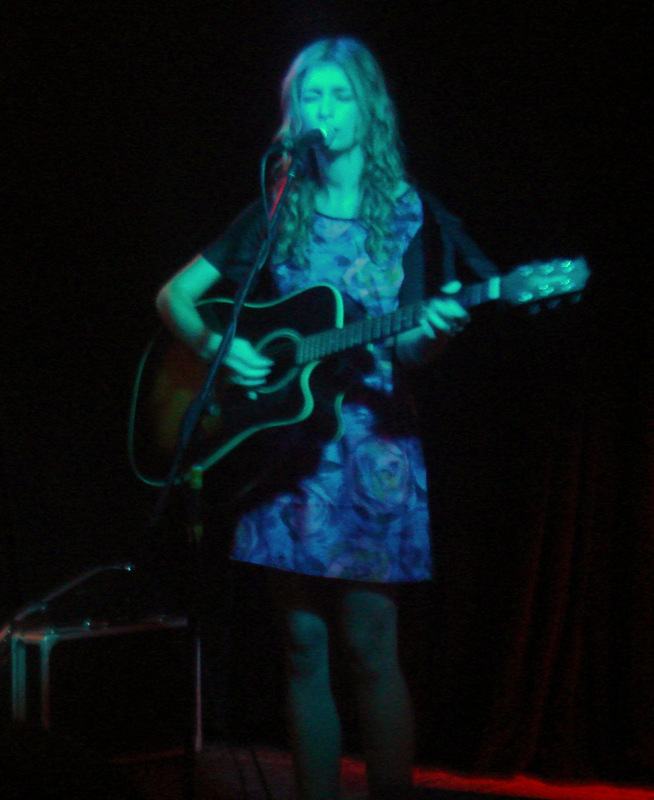 With soothingly gentle tones and simple sounds radiating from Laura’s guitar, her acoustic pop originals commanded the undivided attention of the crowd. She truly loves singing and performing in general and whilst this was her 2nd open mic night ever, she has played regularly for café crowds. Laura is set on a career in the music industry, not only as a musician but also in terms of working for music magazines. 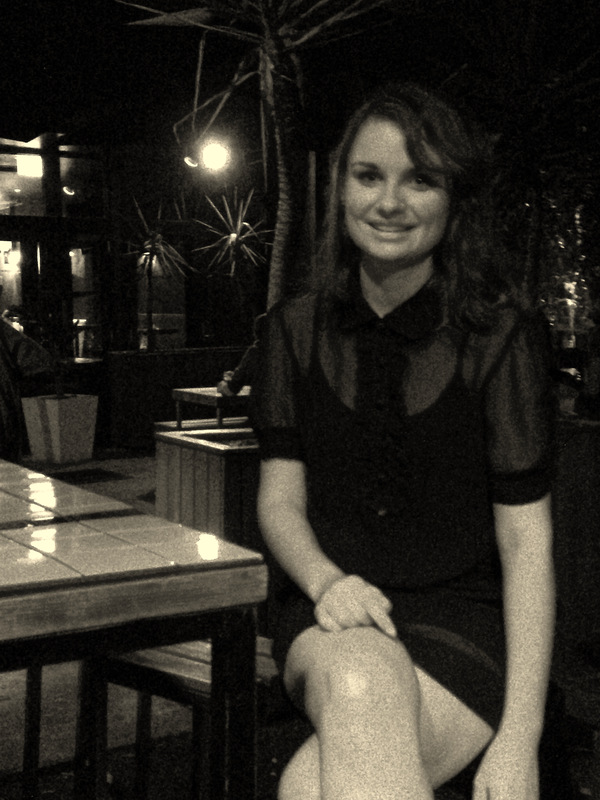 She completed her Bachelor of Pop Music, and is now studying a Bachelor of Communications, whilst working part-time in retail. With an amazingly smooth voice, pumping out the likes of David Bowie and other classic rock covers was James Hallal; ALDI store employee, web designer, English conversation class coordinator for immigrants and refugees, and musician (obviously). Having played music for nearly 12 years, James has no shortage of talent (which includes ‘multi-tasking’ considering all his commitments); He plays piano, guitar, vocals, and drums. 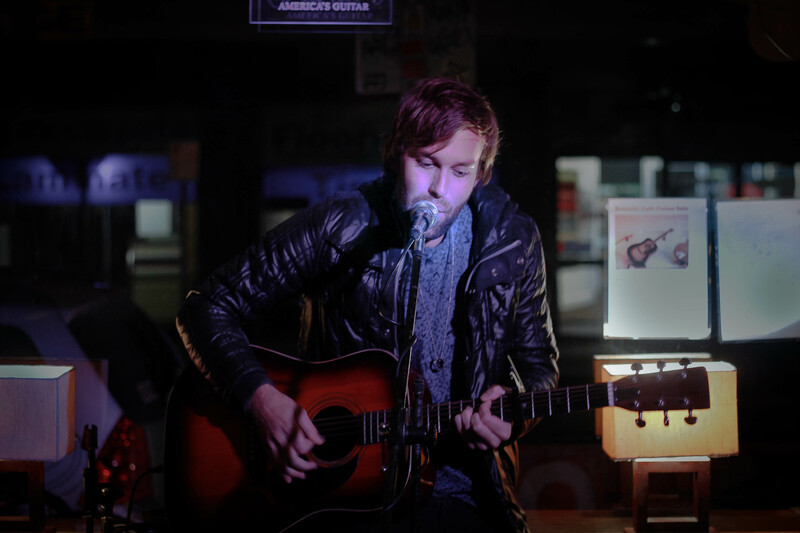 James will be playing at the Cornish Arms next Monday night at their Open Mic – be sure to catch him performing. Check out his cover of Space Oddity by David Bowie – his performance of that was especially great!